The Ultimate Pop Up Junkyard Playground - Photos! The weekend was a huge success - here are some photos taken by the Organiser Clare Walton. 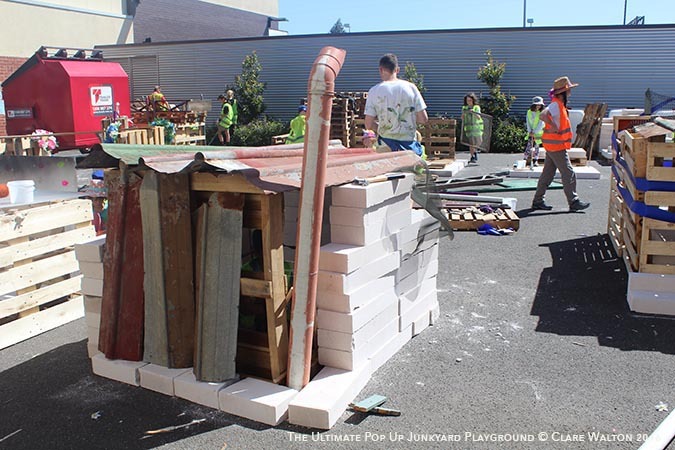 Read more about The Ultimate Pop Up Junkyard Playground - Photos! 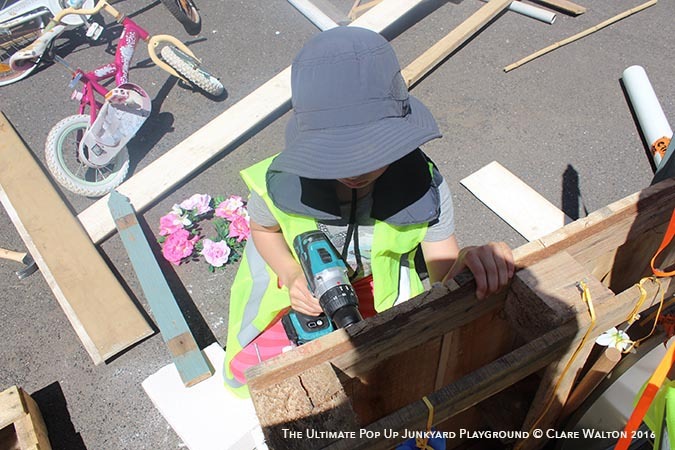 The volunteers at Athelstone Uniting Church Stay & Play Playgroup were inspired to expand outdoors... see how they have ap- plied Tim Gill’s risk/benefit assessment concepts at their unique site. Tour, discussion & resources. Outdoor Classroom Day is a global campaign to inspire and encourage teachers across the world to take lessons outdoors on Thursday 6th October. Over 1,800 schools are already signed up to take around 250,00 children out on the day, but we need your help to reach even more! 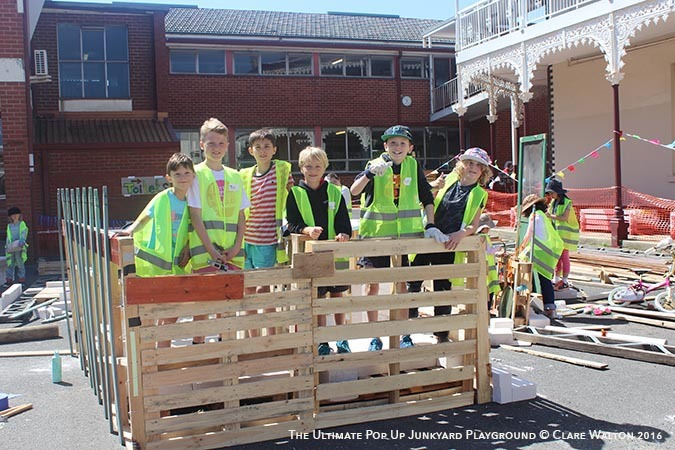 The DIY guide to creating a playground in a box from Pop Up Adventure Play and Playground Ideas. Read about and Download from the website here. Congratulations to Alexandrina Council for compiling this great account of Bristow Smith Reserve Nature Playspace. Congratulations also to WAX Design on developing this wonderful space. This document a great example of post evaluation of a project. In a demanding world of expectations of delivery and moving onto the next project, it’s so valuable to evaluate and celebrate what has been accomplished.